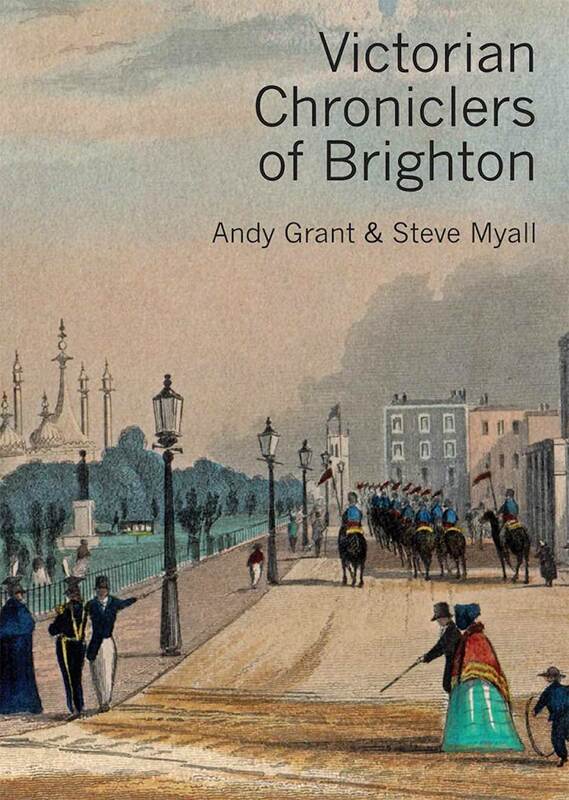 John Constable’s Brighton paintings are known and admired around the world. 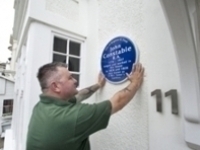 What remained a mystery was where he stayed while creating them – until writer and Regency Society member Shan Lancaster worked with current resident, artist Peter Harrap, to disentangle the clues, earning 11 Sillwood Road a blue plaque that was unveiled in July 2013. 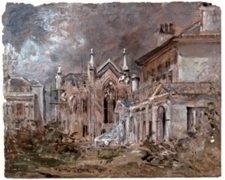 He was invited to Paris but instead, in 1824, the 48-year-old John Constable chose to stay with his young family in Brighton, where he worked energetically and stayed in a cottage on the half-built outskirts of the resort. 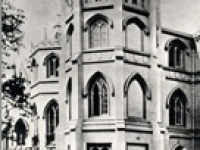 From letters written to his friend Archdeacon Fisher, scholars knew that his address was 9 Mrs Sober’s Gardens, where a “painting room” was readied for canvases brought down from London – but they could not pinpoint the location in the modern city. And it was not his only visit. 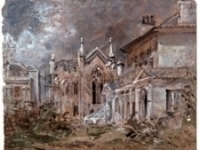 More than 200 of his works are directly related to his visits to Brighton between 1824 and 1828, most of which can be attributed firmly to periods when he stayed at the house, which was hailed by guests, according to his wife Maria, as “Hampstead with the addition of the sea”. Today, that house has been identified as 11 Sillwood Road. It was altered externally in 1885 but the interior spaces are still essentially those occupied by the Constables. The house is on the easternmost boundary of a garden which, in 1824, was owned by a Mrs Sober. Constable wrote to Fisher on 29 August 1824 that the address was “so called from Mrs Sober, the Lady of the Manor – & rich in estates here – which are more so now by their new buildings”. Ann Sober, née Kemp, was the sister of Thomas Read Kemp and in 1817 she built a house called Western Lodge (above left, painted by Constable and the later addition, Priory Lodge, photographed in the late 19th century) on land now occupied by Sillwood Terrace. The gardens extended south, covering the area now known as Sillwood Road and, on their easternmost boundary, she built a row of smaller houses.The earliest date for the start of this development seems to be 1822, when the Brighton Gleaner of 6 May reported that the garden of Mrs Sober on the West Cliff was “intended to be built upon”. At first, the development did not seem to have a formal name and is variously called Sober’s Gardens and Western Cottages until the mid-1830s, when directories began to refer routinely to the street as Western Cottages. Perhaps the key piece of evidence that 11 Sillwood Road was once Constable’s base comes in a letter he wrote to Fisher on 29 August 1824, in which he names his neighbour as a Mr Masquerier, a well-known portrait painter of the period. The first entry in the deeds for 10 Sillwood Road records Masquerier’s purchase of the property from Mrs Sober in March 1824. 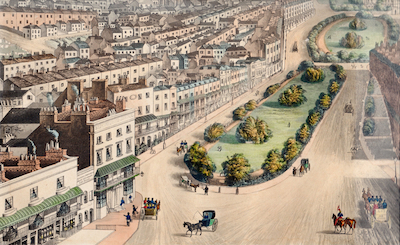 Masquerier was listed at the address in the census of 1841 and in every directory of Brighton between 1840 and his death in 1855 – the name of the street was changed Sillwood Road in1871-72. But there is a final twist in the tale: Masquerier’s house was not originally number 10. It appears as number 8 in directories of the 1830s and in the 1837 register of electors, then as number 10 thereafter. This shift, when the number of every house in the road increased by two at the end of the 1830s, is mirrored in the deeds of neighbouring properties.